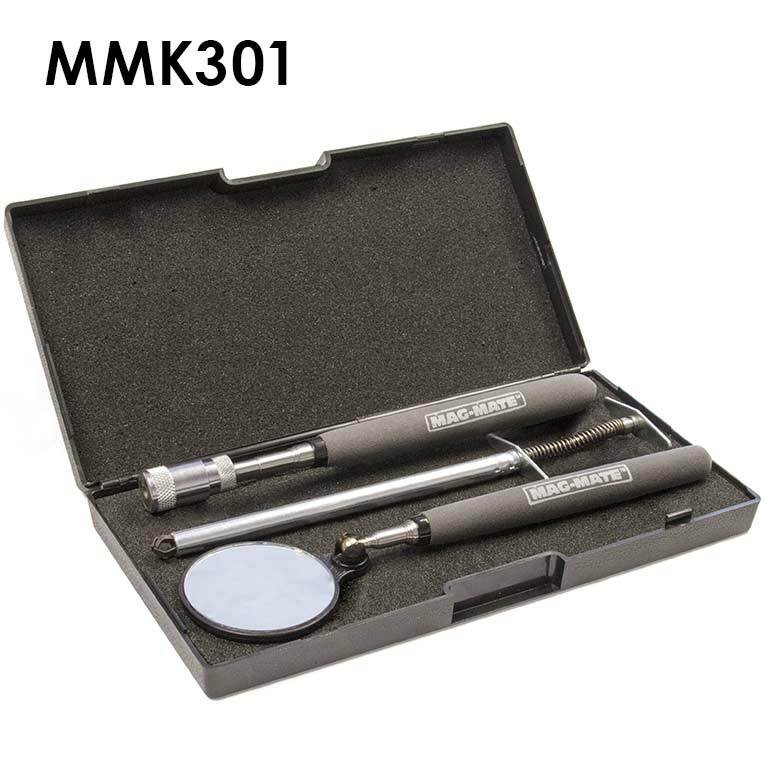 Best of both worlds when you combine a telescoping mirror or magnifier with a telescoping Rare Earth magnetic retriever in a kit. 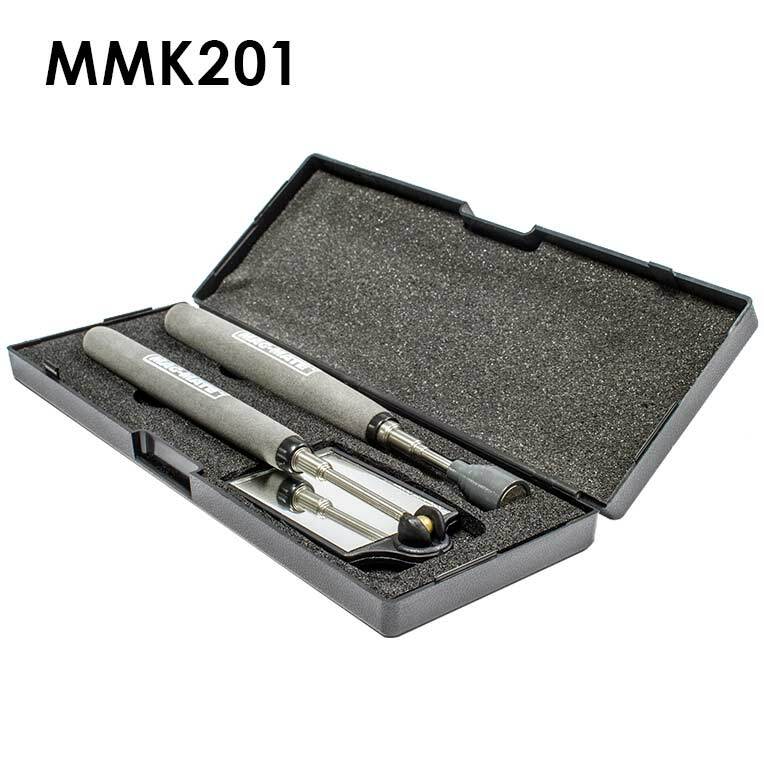 Keep your tools protected and organized in the foam-lined snap-lock case. These tools have a nonslip, solvent-resistent grip. 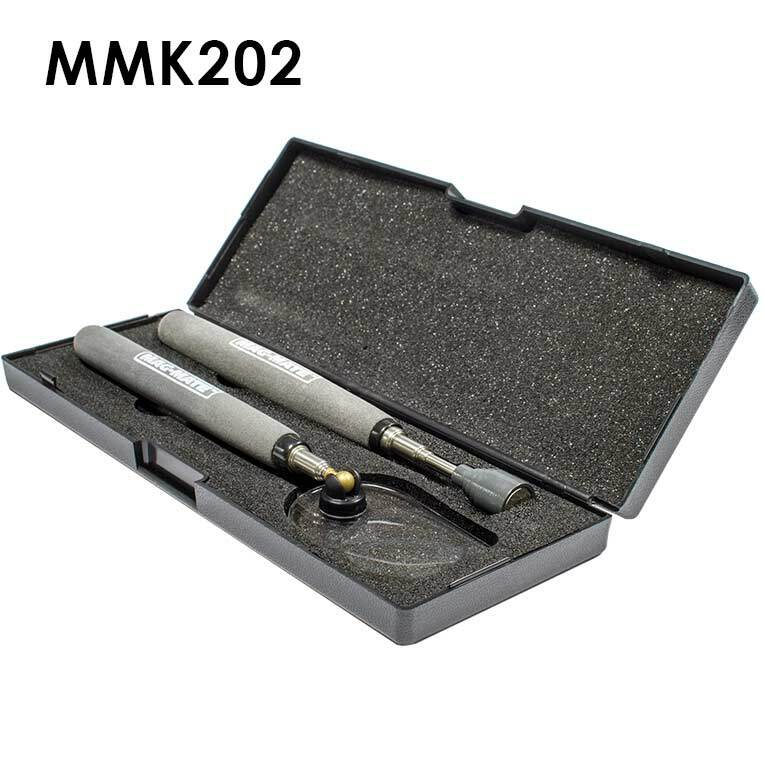 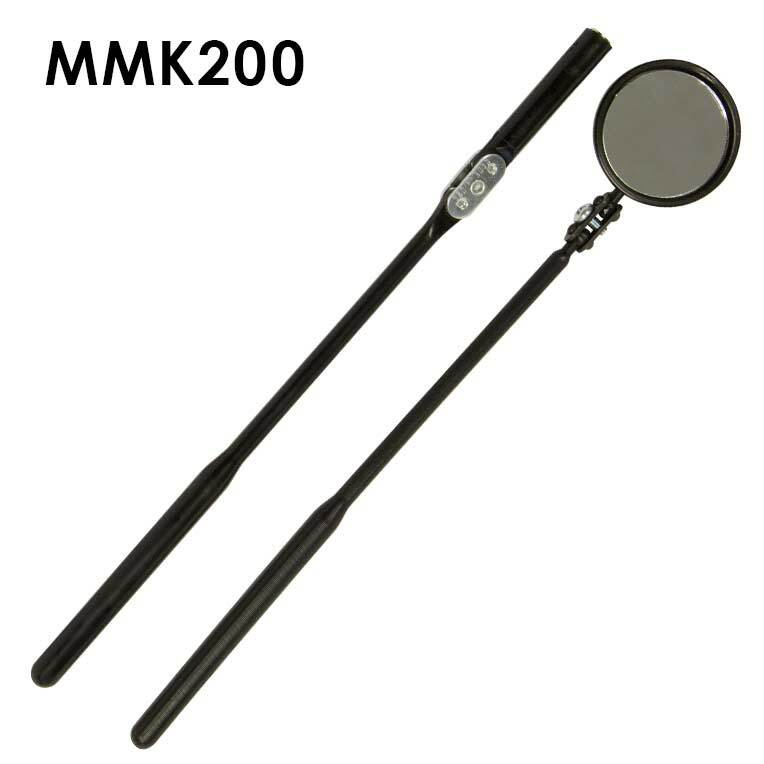 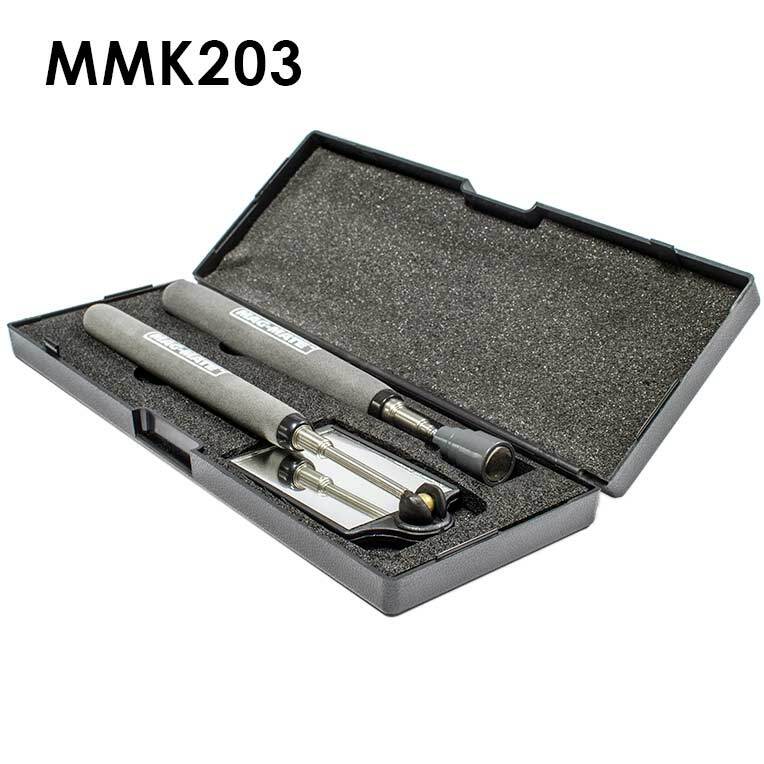 MMK200 is Non-conduction Nylon construction, including the grip, and does not come in a case.